Yesterday was PIZZA NIGHT!! My favorite! One advice: make sure you allow your stomach at least 3 hours to digest pizza properly before you lay down or go to sleep. You can thank me later. 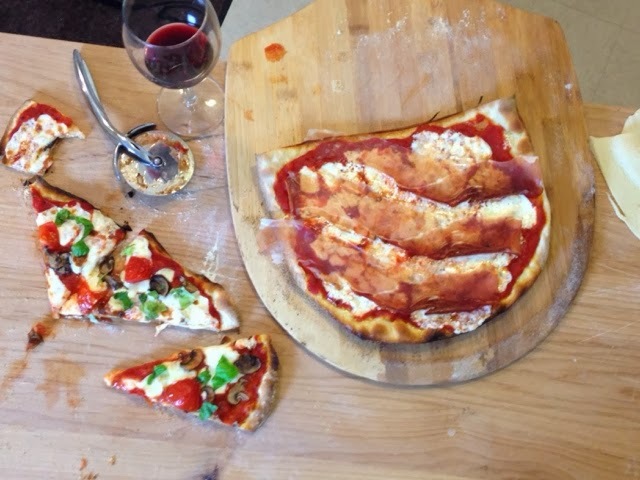 This is a newer pizza recipe that has become an absolute must in all the pizzeria in Italy, it calls for tomato sauce, mozzarella, mascarpone and speck, an italian smoky cured italian meet (pork) from northern Italy. 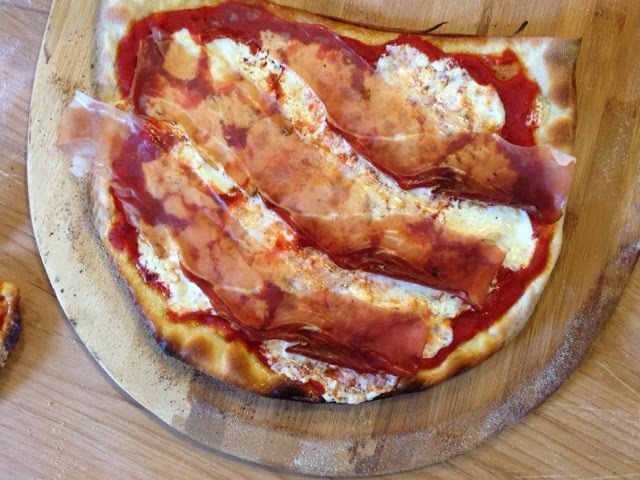 To prepare it put the tomato sauce, mozzarella and mascarpone on the pizza and cook it in the oven on your pizza stone. When it's done pull it out and while is still hot lay the speck on it. The speck should not be cooked with the pizza, just warmed up from its heat. This is my fiancee's invention and therefore favorite pizza. It's heavy and it will make you super thirsty but it has an amazing taste. 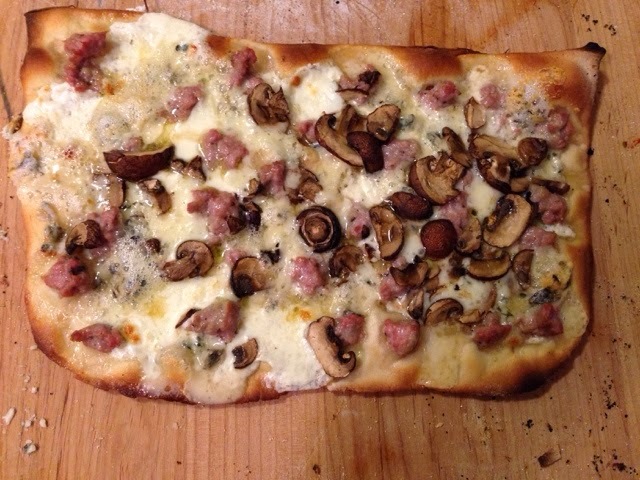 Put first some mozzarella (not a lot), crumble some gorgonzola on it, add the sausage (crumbled in very small pieces) and at last the mushroom. Cook on the pizza stone until the sausage is cooked.